Best Tuner for 6.7 Powerstroke Reviews: Top 4 Out of 60 in 2019! Best Tuners for 6.7 Powerstroke Ford: A List for Your Convenience! Hi everyone, this is Ken Coul, your online auto-mechanic aftermarket guide. I was recently asked to prepare a guide for the best tuners for Ford Powerstroke 6.7L engines. This was a toughie since there are a few options out there that are worthwhile considering. In the end, I prepared this list of the 4 best tuners including one that I personally use daily. 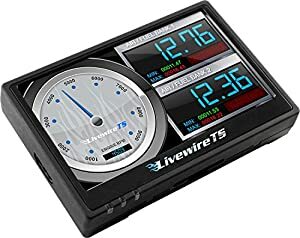 These four tuners give you the ability to tweak up your engines performance and link to your OBDII port and will read your PID’s as well as follow your car’s performance. These devices will enable you to make changes in a number of functions too. Word of warning: Don’t make changes if you don’t know the basics of car engine mechanics. The SCT Performance 40460S GTX is a small powerhouse of functionality. It comes with a very comfortable 5” touchscreen that provides customizable gauge readouts, making this device GUI equal to any smartphone. The memory banks contain 3 pre-set tunes and will hold up to 20 custom tunes that you create. This device will boot up in under 10 seconds, will read all DTC’s and clear them and comes with a comprehensive PID list. The GTX comes with a WIFI capable uplink so you can download any updates and upgrades and will also accept custom tunes from any SCT dealer. 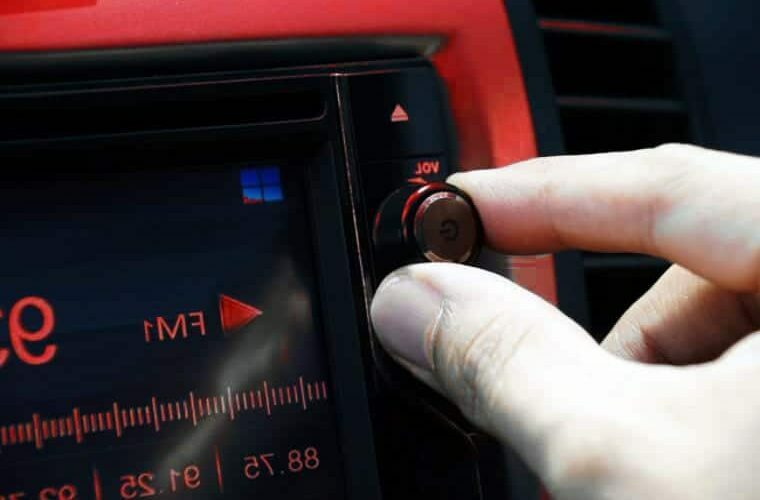 This tuner gives you the ability to adjust up to 20 functions, here are only 5 of them. Axle Ratio: you can correct the speedometer by adjusting the gear If you didn’t change, the gear ratio’s then just left this function as stock. Global Spark: You can adjust the RPM timing ranges. Rev Limiter: You can raise the RPM high limit, best only to do this for racing. By raising the limit, the vehicles on-board computer electronic limiter will only kick in when you reach the new level. Speed Limiter: You can raise your top speed before the vehicles on-board computer electronic limiter kicks in when you reach the new level. Tire Size: You can adjust your speedometer when changing to aftermarket wheels. 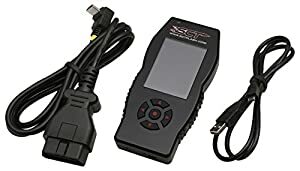 The SCT Performance 7015 X4 Power Flash Programmer is a smaller SCT model but also extremely versatile and provides you with pre-set dyno tunes and can store up to 10 custom tunes which can be downloaded from any SCT tune dealer. This device comes with high-speed data logging and will read and clear all your DTC’s. It has a restore to stock function and can link up to the tune store via the SCT cloud-based system using the installed WIFI features. The display is backlit, and when installed and linked to your ODBII it will stream real-time vehicle data. Once linked to your vehicle, it will read all your electronics systems and provide you with all the streaming data as and when it happens. CMCV Delete: You can disable the Charge Motion Control Valve (CMCV) in the PCM to stop the Check Engine light and other issues related to removing your vehicles CMCV plates. Idle Adjust: You can change the voltage for idle, this will give you the ability to connect and use more electronic devices when standing idle. Intake Airbox: If you install an aftermarket air intake unit, the check engine light will not go on with this function. The SCT Performance 5015P Livewire TS+ Performance Ford Programmer/Monitor was developed for the average driver; it is easy to operate a system that comes with pre-set tunes but also enables you to download up to 10 SCT tunes from any SCT tune dealer. 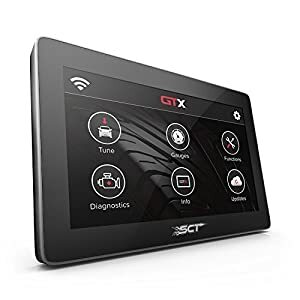 Just as the other SCT models, this one comes with high-speed data logging and WIFI connectivity. The 4” screen provides you with clear gauge reading and this device reads and clears all your vehicles DTC’s. Axle Ratio: you can correct the speedometer by adjusting the gear If you didn’t change, the gear ratio’s then just leave this function as stock. Grill Shutter: You can adjust your performance to compensate for a removed grill shutter. 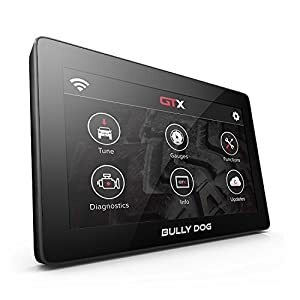 The Bully Dog GTX Performance Tuner is a great device providing you with a 5” touchscreen display and monitors so many functions that the number is astronomical. This device will obviously read and clear all DTC’s. It has WIFI to cloud updating and downloading of tunes capability. Apart from reading all the PID’s there are, this device will give you both live performance readouts as well as storing the readings for after-driving review. This device will read and help adjust over 50 functions; I will not even bother to list five of them here. Take my word for it, with over 20 years of experience in engine performance gauging, buy one of these four and you will never worry about your engine’s performance again. What causes a tire to blow out?